Austin—A new telehealth-focused startup, Enzyme Health, has raised a $1.7 million seed funding round to build out its marketplace for doctors and nurse practitioners looking for new online gigs. 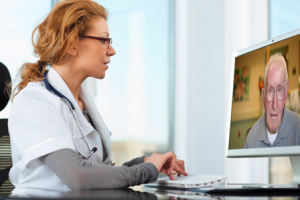 Enzyme Health connects clinicians with the companies that provide telemedicine services to patients, with the aim of helping doctors and nurse practitioners find more freelance work at those businesses. The startup already works with telemedicine companies, including Doctor on Demand (which itself raised a $74 million round of financing earlier this year), MDLive, and Parsley Health, among others. The Austin-based company uses machine learning algorithms to match doctors and nurse practitioners with positions that suit their expertise and availability, according to Enzyme. Enzyme, founded just one year ago, is tapping into the rapidly growing digital health industry, which raised a record $3.4 billion in 193 deals in the first half of 2018, according to Rock Health. That’s continued in the second half, with Boston-based telehealth company American Well raising $290.6 million in July. Dealmaking is also ongoing: Teladoc bought Advance Medical, a fellow provider of telehealth software and services, in a $352 million cash and stock deal in June. Enzyme also offers services to traditional healthcare companies, such as health systems and insurers, which sometimes use external clinical teams to deliver care remotely, the company said in an e-mail. The company focuses its services toward physicians, nurse practitioners, and physicians assistants, but also allows psychologists, licensed social workers, dentists, optometrists, ophthalmologists, and behavioral analysts onto the marketplace. Enzyme said it screens both clinicians and employers before acceptance. The seed funding was led by Silverton Partners in Austin, and other private investors also participated.